Lockheed Martin hosts large regional events to honor and recognize employees who go above and beyond for the company. 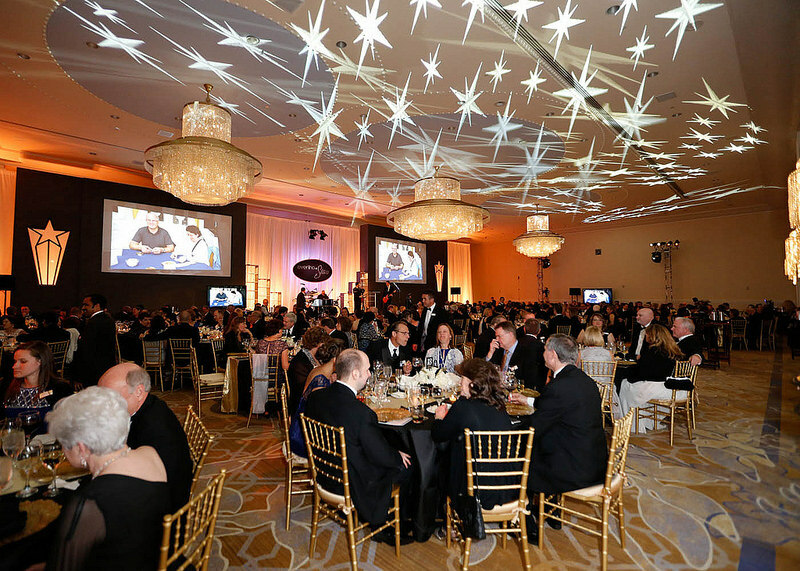 In need of a unique and impactful experience for this annual event, Lockheed Martin turned to event expert Cenero for help with the flawless execution of the awards celebration. Cenero Show Solutions partnered with Lockheed Martin to provide full audio visual and lighting support for the evening and also brought in a producer to help with the creative aspects of the evening. The room featured a ten speaker sound system, a large projection screen and projectors, LED monitors and moving lights. The custom scenic stage set included shelves with the awards, stage lighting, a teleprompter and video playback capabilities. The whole evening was planned in advance, so that when an award was announced, lighting was automatically moved towards the award recipient’s table and a cameraman with a wireless video camera would go to the table to show the winner’s live reaction. Surprise Flash Mob! – Watch the video! The most exciting part of the night by far was the flash mob – a 40 person dance team disguised as waiters and waitresses milling about the pre-event reception. The “wait staff” broke out into dance shortly before the guests entered the ballroom for the event. When the doors to the event opened, the dancers led the guests into the room as the band called them in. The evening was a great success and Lockheed Martin was very happy with the outcome.